It was a struggle to open the huge pipe. Two men had to help each other to release the effluent from this pipe. The tailings flow on the ground, through a foot path into a dam. This dam, which was built by Mopani Copper Mines, a subsidiary of Carlista Investments Corporation which is a joint venture between Glencore and First Quantum Minerals. This dam also has an opening which later releases the effluent into the nearby bush. Unfortunately, this tailings dam is illegal according to the Kitwe-based Mine Safety Department, a unit of Zambia's Ministry of Mines which oversees safety issues in the mining industry. “There is no indication from the Mine Safety Department that this paddock was approved. Mopani Copper Mines did not apply for it to be set up here. This is not good for the environment, there is a nearby stream and am sure it is being polluted,” said Gideon Ndalama, the National Coordinator of the Zambia Mining Environmental Remediation and Improvement Project. As this effluent continues to flow into the bush, the fear is that it will contaminate the environment. Authorities are not happy that Mopani Copper Mines is discharging the waste without notifying relevant authorities. “This is very bad and dangerous. You cannot be harming the environment like this. I will talk to management, they need to stop this. 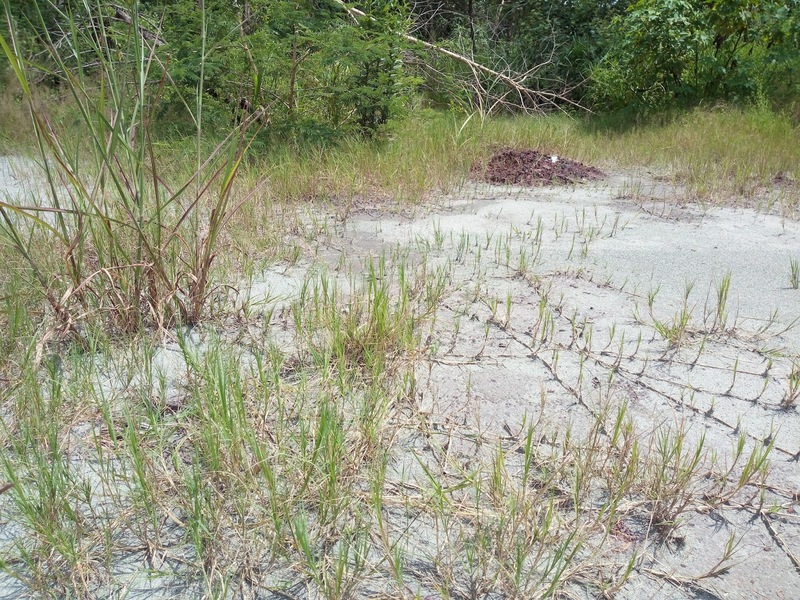 There could be acid and uranium here being discharded into the environment,” said Paul Chanda, the Permanent Secretary in the Ministry of Mines. Mr Chanda, who made an unannounced trip to the Nkana Tailings Complex, was shocked to find workers from Mopani Copper Mines opening one of the pipes to discharge the tailings. He threatened that Mopani Copper Mines risks being penalized for deliberately harming the environment. The workers on site could however not talk to this blogger as to why they were discharging the effluent. Efforts to get a comment from Mopani Copper Mines proved futile as a press query sent to the firm’s Public Relations Unit was not responded two for a week. 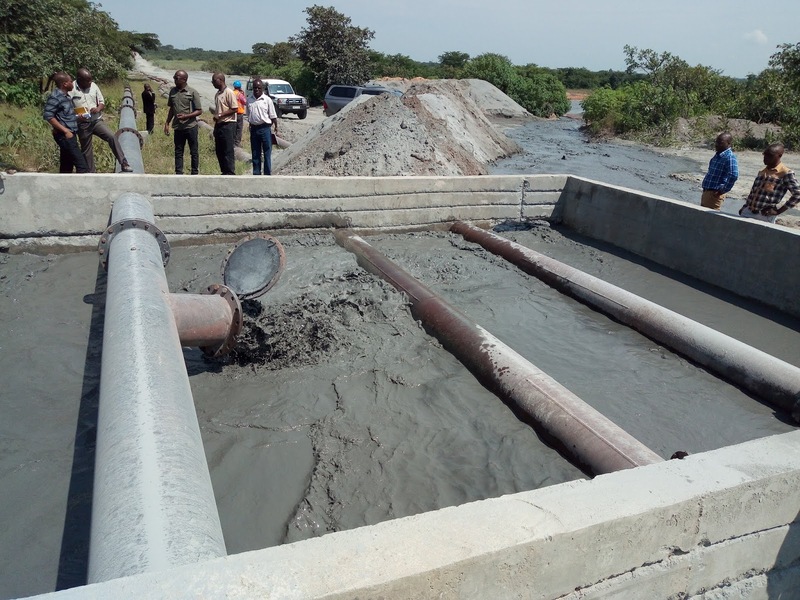 However, inspectors from the Zambia Environmental Management Agency (ZEMA) have visited the area and collected samples to ascertain the contents of the effluent. ZEMA Corporate Affairs Manager Irene Chipili says the samples have been taken to a laboratory and they will be tested soon. 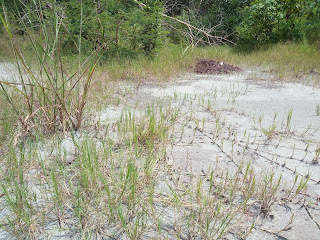 And a check at the nearby tailings found some trees and grass drying up due to lack of maintenance. The tailings, whose licenses have been given to private firms, have developed craters and holes, leading to the leakage of red oxide to the environment. 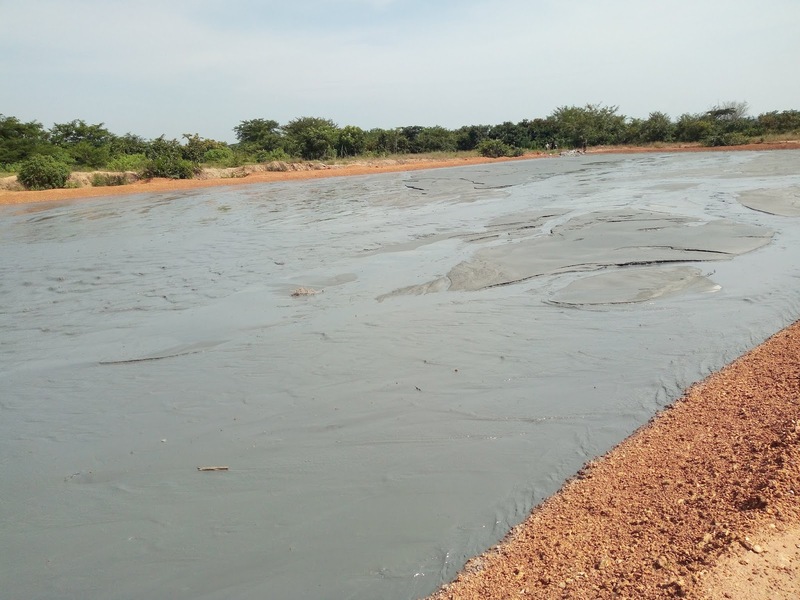 The Ministry of Mines has since asked the license holders to fence off the tailings to stop the leakage of red oxide which is harming the environment. Suspected members of the Mbwambwambwa Gang have hacked two youths, one of whom is battling for his life in the Kalulushi General Hospital. The second victim has been discharged from hospital after being treated for head wounds. The victims are from Kalulushi’s Mine Township. 22 year old Mwenya Chishimba who was badly beaten, has lost two teeth in an attack which happened on Valentine’s Day and is still admitted to the hospital. Mwenya's mother Barbara Chishimba says her son almost died due to the beatings. 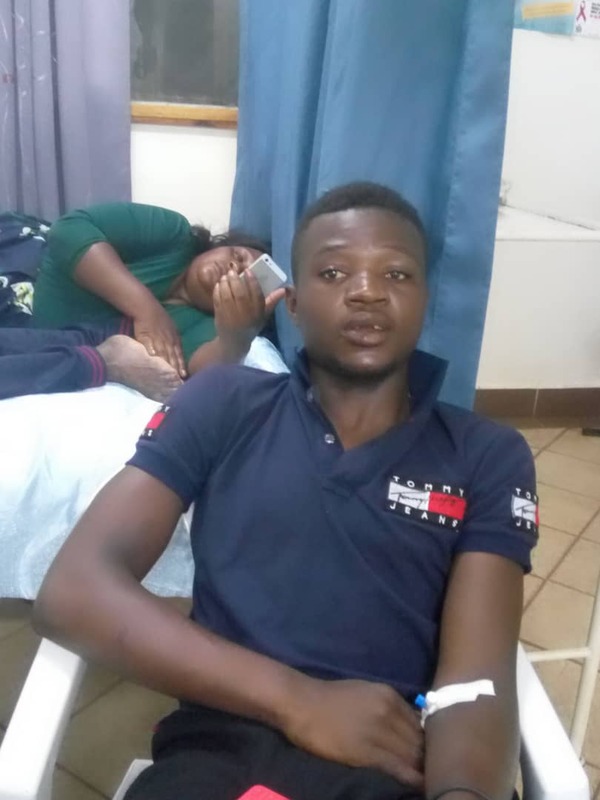 Mrs Chishimba says around midnight on Valentine’s Day she was awakened by a group of youths who were shouting slogans saying they were members of the Mbwambwambwa Gang and they had come to dump her son. "When I came out of the house, I found my son was unconscious. He wasn't responding. He had many cuts and two of his teeth were removed," she said amid sobs. She complained that her son's attack is the second in the family. "I think our family is under attack. We are leaving in fear now," she added. In November last year, her 16 year old nephew Blessings Busaka was hacked by suspected 70 Niggas gang members who broke his jaw. The boy even missed his Grade 11 examinations while he was still nursing his wounds. Since then, he cant eat through his mouth, he is fed through a tube. But Kalulushi District Commissioner Kenny Siachisumo has downplayed the issue of gangs in Kalulushi. 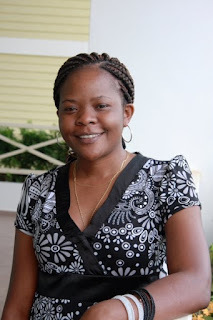 Mr Siachisumo has told this blogger that Mwenya was beaten during a fight between two groups of youths. "When youths are beaten these days, they are lying that it is 70 Niggas or Mbwambwambwa. These are just teenagers who were fighting at a bar," said Mr Siachisumo. The District Commissioner says Police have arrested one suspect who took part in the beating and he is helping them with investigations. Several multi-national chain stores countrywide have started implementing government's ban on the sale and distribution of carrier plastics bags to customers. 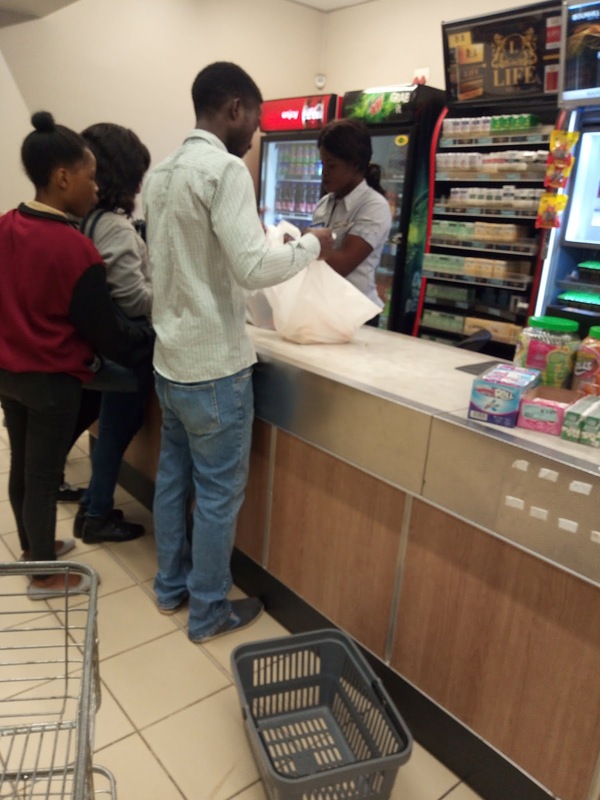 Shoprite, which is one of the largest retailers in the country, has supplied recyclable plastic carrier bags to all it's 35 stores countrywide. The recyclable plastics are still yellow but clearly labelled for customers to distinguish them. 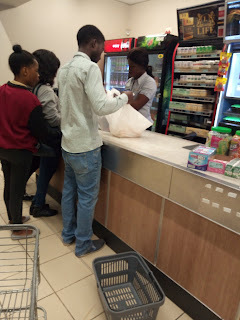 Shoprite Zambia General Manager Charles Botha has told this blogger that in line with the Ministry of Water Development and Environment, the chain store has started supplying recyclable plastics to it's customers. "My advise to the customers is that these recyclable plastics can be used up to four times. By reusing them, we will reduce the number of plastics in the environment," he said. "Chain stores supplying plastics below 30 microns to customers are legally allowed to provide alternative carrier bags at a fee. So those who are selling are allowed, it is not illegal," she said. "This also is a chance for local designers and tailors make cloth bags and let those dominate our market so that eventually we completely deal with Carrier Bags and begin to use and reuse cloth bags," says Geoffrey Daka. Mr daka says: "The beauty with 30 microns thickness plastic is that it can be recycled. In an event that chain stores move a step further, they can have more alternative bags to plastic bags so that there is encouraged reuse of the alternative bags."